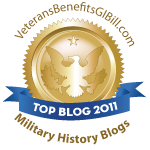 In 1865 Americans faced some of the most important issues in the nation’s history: the final battles of the Civil War, the struggle to pass the Thirteenth Amendment, the peace process, reconstruction, the role of freed slaves, the tragedy of Abraham Lincoln's assassination, and the trials of the conspirators. In this illuminating collection, prominent historians of nineteenth-century America offer insightful overviews of the individuals, events, and issues that shaped the future of the United States in 1865. 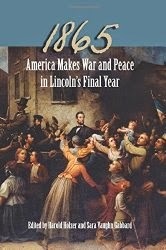 Following an introduction by renowned Lincoln scholar Harold Holzer, nine new essays explore the end of the Civil War, Lincoln’s death, and the start of the tentative peace in 1865. Michael Vorenberg discusses how Lincoln shepherded through the House of Representatives the resolution sending the Thirteenth Amendment to the states for ratification, John F. Marszalek and Michael B. Ballard examine the partnership of Lincoln’s war management and General Ulysses S. Grant’s crucial last thrusts against Robert E. Lee, and Richard Striner recounts how Lincoln faced down Confederate emissaries who proposed immediate armistice if Lincoln were to reverse the Emancipation Proclamation. Ronald C. White Jr. offers a fresh look at Lincoln’s second inaugural address, and Richard Wightman Fox provides a vivid narrative of Lincoln’s dramatic walk through Richmond after the Confederates abandoned their capital. Turning to Lincoln’s assassination, Edward Steers Jr. relates the story of Booth’s organizational efforts that resulted in the events of that fateful day, and Frank J. Williams explains the conspirators’ trial and whether they should have faced military or civilian tribunals. Addressing the issue of black suffrage, Edna Greene Medford focuses on the African American experience in the final year of the war. Finally, Holzer explains the use of visual arts to preserve the life and legacy of the martyred president. Rounding out the volume are a chronology of national and international events during 1865, a close look at Lincoln’s activities and writings from January 1 through April 14, and other pertinent materials. This thoughtful collection provides an engaging evaluation of one of the most crucial years in America’s evolution. Harold Holzer is the Roger Hertog Fellow at the New-York Historical Society and the chairman of the Abraham Lincoln Bicentennial Foundation. He is the author, coauthor, editor, or coeditor of forty-seven books about Abraham Lincoln, most recently Lincoln and the Power of the Press: The War for Public Opinion, which won the 2015 Lincoln Prize. He has published six books with SIU Press. Sara Vaughn Gabbard, the executive director of Friends of the Lincoln Collection of Indiana, is the editor of Lincoln Lore and a recipient of the 2015 Order of Lincoln Award from the state of Illinois. She and Holzer coedited Lincoln and Freedom: Slavery, Emancipation, and the Thirteenth Amendment and 1863: Lincoln’s Pivotal Year, and she and Joseph R. Fornieri coedited Lincoln’s America, 1809–1865. She also served as a coeditor of the Concise Lincoln Library. ISBN 978-0809334018, Southern Illinois University Press, © 2015, Hardcover, 208 pages, Photograph & Illustrations, End Notes at the end of each essay, Appendices & Index. $32.95. To purchase a copy of this book click HERE.